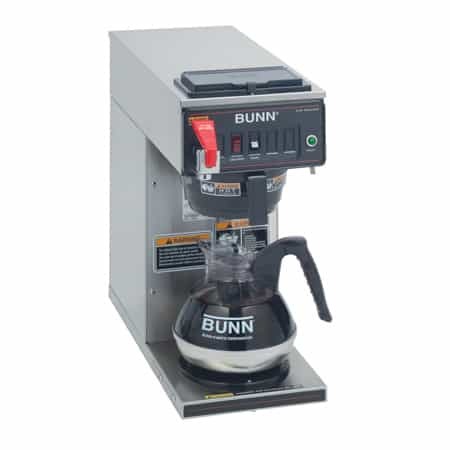 The Bunn Thermal Carafe is the premium choice for Bunn Thermal Carafe Commercial Coffee Brewers. It is attractively designed and will keep the coffee the hottest for the longest time. 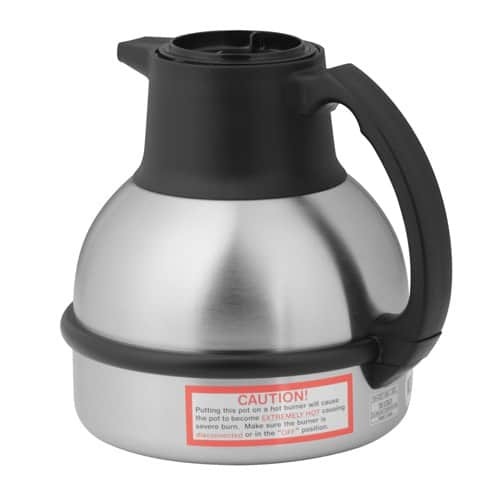 The Bunn Thermal Carafe is to be used with Bunn Carafe Brewers and does not require a warmer to keep the coffee hot. 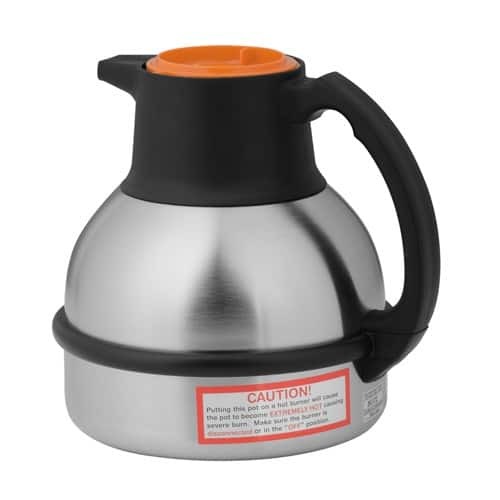 Coffee can be brewed directly into the carafe, which can safely be placed on any counter or table without damaging it. Coffee that does not continue to be heated after the brewing process is complete stays fresher longer. Continued heat breaks down the flavor components in the coffee. This premium carafe will only lose 5 degrees of heat in a 1.5 hour period and less than 10 degrees in a 2 hour period. Stainless steel construction both inside and out means a sturdy, and vacuum insulation keeps the coffee hot. The brew-through lid makes for no-hassle brewing. 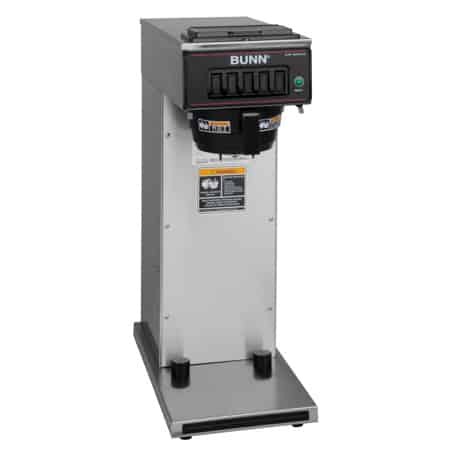 Can be used with the Bunn Axiom, CW series, and VPR thermal carafe brewers. It is a 12-cup commercial pot and holds 64 ounces. 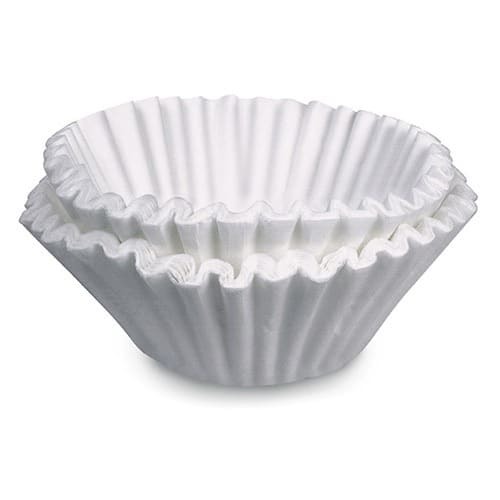 Can be ordered with a black lid (36029.0001) for regular coffee or an orange lid (36252.0001) for decaf. Can also be ordered in cases of 12.